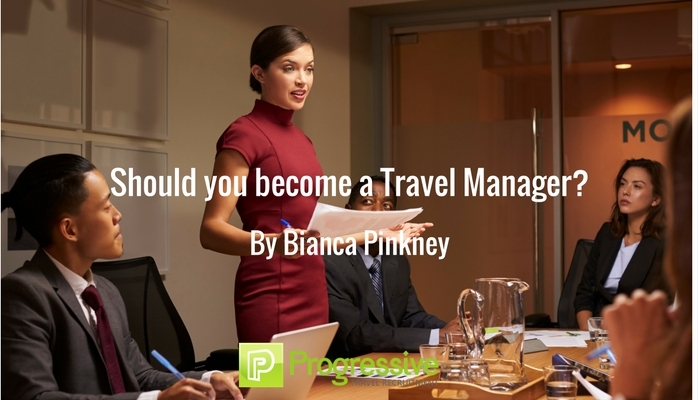 The role of Travel Manager has evolved in recent years. Once referred to as ‘the person who organises or books my travel’, today’s Travel Manager fulfils a much more strategic corporate travel role. Not only are they involved in the tactical travel booking that happens within an organisation, they are also responsible for devising the policy that manages this. The nature of corporate travel is so dynamic that it now requires a long-term view of travel strategy and how this is implemented to help employees achieve the company’s goals. The evolved Travel Manager is involved in travel supplier negotiations, data analysis, staff retention and recruitment, technology selection, finance and even risk management. Unlike other forms of procurement within the organisation, buying and managing travel is a far more emotional purchase. The Travel Manager isn’t buying a thousand pencils at the lowest possible cost. He or she is dealing with the comfort and productivity of staff – managing the end-user experience to achieve travel policy compliance, while also trying to keep travel spend as low as possible. That’s why the ability to analyse and use data to inform strategically how the travel policy needs to change to align it with the company’s overall goals is so important. The act of booking business travel now sits with technology. An Online Booking Engine that travellers or bookers can use to book the most suitable travel – freeing up the Travel Manager to focus on the strategic task of defining and implementing a suitable travel policy that suits the needs of the organisation and its staff. So, does that mean you have to be a data specialist to be a Travel Manager today? Not necessarily. What it means is that the role of Travel Manager today is taken a lot more seriously than it was in the past. It is a role that traverses several departments within an organisation – procurement, HR, risk, sales, etc. – and areas of the travel industry, from airline to hotels to travel management companies. This means today’s Travel Manager needs to be an excellent communicator and art negotiator. As this joint GBTA-Sabre Whitepaper on the ‘Transformation of the Travel Manager’ indicates, the ability to keep up with new and evolving technology is also key. Finally, an analytical mind, with strong business acumen and a background in travel and tourism are useful in the Travel Management role. Within the Travel Manager’s purview is oversight of the entire corporate’s travel spend. Which travel suppliers can travellers book through? How Travel & Entertainment Expenses need to be submitted? What class of travel are different levels of roles allowed to book? Who’s allowed to approve travel? What should be done when a staff member on duty travel finds themselves in a dangerous situation? Can a staff member book an Uber and claim the expense? In addition to overseeing all travel arrangements, the Travel Manager is the person within the corporate that defines answers to all these questions, communicates them to all parties and ensures that the travel policy is complied with across all levels of seniority and departments. Try telling senior management that they’re not allowed to travel in business and you’ll understand how challenging a role this can be. As corporate travel evolves, so too does the role of Travel Manager. If you’re currently in the role, we would love to hear from you on how it is changing. If you think you’d like to enter this dynamic environment or have a Travel Manager role you’re trying to fill, why not contact me and submit your CV. Interested in corporate travel management? Both ACTE and the Global Business Travel Association (GBTA) have excellent resources for anyone involved in corporate travel.